Norma Jean Petersen Paulus was born in Nebraska in 1933, and raised in Burns, Oregon, graduating from the Burns Union High School in 1950. Her first job, as a secretary to the Harney County district attorney, led to work as a legal secretary in Salem, Oregon. Oregon Supreme Court Chief Justice Earl C. Latourette encouraged Paulus to apply to law school, based on her experience and expertise. Paulus entered Willamette University Law school in 1956 and graduated with honors in 1962. She went into private practice until she entered state politics in 1969. 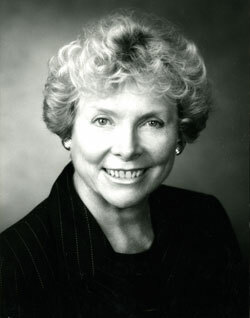 Following three terms in the Oregon House of Representatives, Paulus became Oregon’s first woman Secretary of State, in 1976. She served in this office until 1985. As Secretary of State, Paulus dealt with several issues that gained national attention, including instituting emergency procedures in Waso County to block followers of the Bhagwan Shree Rajneesh from an attempt to sway local elections. Paulus ran unsuccessfully for Governor in 1986, losing to Democrat Neil Goldschmidt. In 1990 Goldschmidt appointed her as Oregon Superintendent of Public Instruction. Paulus won election to a four year term later that year and was reelected in 1994. As state superintendent, Paulus introduced statewide assessment testing in 1991 and supported school to work initiatives for reforming public education. Since leaving public office, Paulus has worked as the executive director of the Oregon Historical Society; served on the Oregon State Capitol Foundation Board; served on the boards of various organizations and helped raise funds for a statue honoring form governor Tom McCall. In 2004 she received University of Oregon’s Distinguished Service Award. The Norma Paulus papers contain papers generated and received by Paulus’ office during her two terms representing the Eleventh District in the Oregon House of Representatives. Materials include copies of legislation she sponsored or co-sponsored, committee minutes and letters from constituents. Paulus was part of a record number of women in the Oregon State Legislature in 1971. Her papers reflect her interest in environmental issues, capitol planning and local government. They also provide insight into the political climate for women in the 1970s as well as into social mores regarding their participation. The collection also includes photographs, campaign materials and scrapbooks of her time in the state legislature and as Oregon’s Secretary of State.